The Diversity and Academic Advancement Summer Institute (DAASI) invites you to host a Baltimore City high school student during the summer of 2016 at no financial cost. DAASI is a partnership between the Office for Student Diversity at Johns Hopkins University School of Medicine and Thread, a non-profit organization, with student stipends being provided in partnership with the Mayor's office. Thread engages underperforming Baltimore City high school students by providing each of them with a committed family of up to 8 volunteers and increased access to community resources. 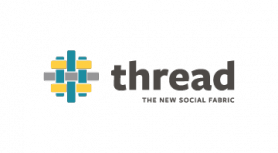 Thread volunteers are primarily from Johns Hopkins' undergraduate, Public Health, Nursing, Medicine and PhD programs. Visualizing Success: Expose students to science, health, educational and professional pathways so that they may visualize the possibility of pursuing careers in these fields. Service, Life Skills and Teamwork: Create opportunities for participants to learn important life and professional skills through work opportunities and service learning experiences. Academic Assistance: Provide a comprehensive, engaging curriculum to bolster students' academic self-confidence and capabilities in preparation for the upcoming school year. Your role is critical to the successful attainment of the first two goals. With your participation, all students are able to have exposure to rigorous work environments in biomedical research and medicine ranging from clinical, laboratory, translational or educational research, hospital quality improvement, public health initiatives and/or practicums. DAASI typically takes place from late June to the end of July. Their role is to work with you to develop a plan to supervise, support, coach and guide the student throughout this experience. This may include placing a high achieving undergraduate active Thread volunteer with you also at no cost. The undergraduate's role will be to provide additional support in mentoring the student. Typically the student works from 5 to 6 hours each day of the week, but they are happy to tailor or adjust the hours to best meet your needs and availability. To help facilitate the placement, DAASI interviews each student and assesses their academic readiness, professionalism and career/academic interests. Additionally, they have organized a seminar to increase understanding of the entire experience and help you to begin planning to host a student. Please sign up for the seminar using the form below. If you are unable to attend one of the seminars, they can meet with you individually. If you are interested in exploring the opportunity to support a Baltimore City high school student, please complete this form by November 2, 2015.